Apologies for the lack of blog activity - I am travelling through Vietnam with little to no Internet access. Hope you have all been having a wonderful lead-up to Xmas and the holiday season. Onto the crime fiction stuff - as many of you who regularly read this blog will know, there has been a fair bit of speculation over the past few months as to the identity of pseudonymed New Zealand thriller writer 'Alix Bosco', speculation that only increased when the author became a finalist, then won, the inaugural Ngaio Marsh Award for Best Crime Novel. 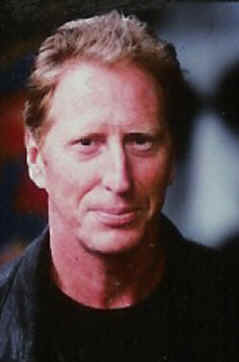 There have been many rumours about possible identities, and one recurring one centres on acclaimed playwright and screenwriter Greg McGee (pictured). In the current (Summer) edition of Book Notes, the magazine of the New Zealand Book Council, McGee addresses the rumours at the end of an article looking at some recent thrillers. You can read his article, including his comments about Alix Bosco, his/her thrillers (McGee has been part of the team adapting CUT & RUN for television), etc, here. Hat tip to the always-excellent Graham Beattie for the heads-up on the Book Notes article (I'm a little out of the loop over here in SE Asia). Merry Xmas to all, wherever you may be in this wonderful world of ours. Hope you enjoy some great holiday reading! Merry Christmas to you as well Craig, lots of wonderful books and time to read them for the nest year.